HONT has been the wholesale cable ties suppliers for over 20 years. Its products have been highly spoken by people from all walks of life all around the world. I believe it will be your best choice of cable ties! Wholesale cable ties suppliers supply nylon cable ties. Nylon cable tie is a kind of tool for the fastening and biding the things. There are many types and specifications of them. They are self-locking zip ties, marker cable ties, releasable zip ties, mountable head ties, push mount cable ties, beaded cable ties and so on. The processes of molding, injection of zip ties are not so easy. It is because that the cable tie has a thin width of the body. And the hole of the head is not so big. Usually, the new wholesale cable tie suppliers can not successfully produce products at the early stage. They may spend a quite long time on the exploring and experiments. Then they will manufacture good quality cable ties. The zip ties are designed with the function of the non-retreating. So the ties can only be more and more tight. Of course, this situation does not include the releasable cable ties. The releasable zip ties can be loosed after the locking. They can be used again and again. This kind of zip ties solve the problem of waste. Wholesale cable ties suppliers use the raw material of Nylon 66. It has got the approve of the UL. It is excellent in the resisting ability to the corrosion and many chemicals. It is anti-aging. Besides, the nylon cable ties have long service life. They can stand many bad weather. And they are strong in the tensile strength. The resisting grade to the flame is 94 V-2. So they are difficult to be burned. This will reduce the fire accidents wonderfully. The working temperature of the common cable ties are from -20℃ to +80℃. The better quality cable ties have bigger working temperature range. They can stand the low and high temperature. They are resistant to the heat and cold. Nylon cable ties are so popular in the industry. They can be seen everywhere. They have become the pop star in the new age. They have a very wide applications. The ties are used to bundle the cables and wires in the electrical and electric factories. And they are also used to fasten the lines inside the televisions. And the nylon cable ties are found in the computers. It is the computer has so many cables and lines. The lights and electrical machines also need the cable ties for help. The ties can help them to secure and fasten the wires. Even, the toys of the kids also use the cable ties to secure the wires. Some cable ties will appear to make the package of the toys firm. The mechanical machines and oil pipes need our cable ties to bind the oil pipes. The high tensile strength cable ties can hold these tasks. In addition, zip ties are also applied in the packing of the bikes. The secure binding of bikes is easy for the workers to carry them for sales. Nylon cable ties from the wholesale cable ties suppliers are welcomed in the agriculture. The farmers use them to fasten the trees. The trees will not fall down with the help of the zip ties. The gardening industry will also use the zip ties to bundle the flowers. Sometimes, the brackets and bamboo fences in the gardens will need them. Our daily life, this kind of product is also playing its big role with all its efforts. For example, when we are buying some fish in the fresh market, we will need it. And in the stationery stores, the salesmen use it for the organization and arrangement of the pens, pencils, rulers and so on. As we all know, the cable ties have many types and kinds. And it also has many specifications. How to buy the right cable ties is a big problem for some users. We need to get to know the specifications of the nylon cable ties. Different manufacturers are different in the specifications. But there are several rules of the specifications on the market. In general, we use width * length to show the specification of the tie. For example, CHS 3* 100. It means the width of the tie is 3 mm. And the length of the tie is 100 mm. This is the international rules for the wholesale cable ties suppliers. 3* Series have two kinds of widths. They are A Level of 2.5 mm and B Level of 2.2 mm. 4* Series have two kinds of widths. They are A Level of 3.5 mm and B Level of 3.2 mm. 5* Series also have two types of widths. They are A Level of 4.5 mm and B Level of 4.2 mm. 8* Series have A and B Levels. The width of A Level is 7.5 mm. And the B Level is 6.5 mm. 9* Series only has A Level. The width is 9.0 mm. Notes: The Series above the 9* Series will have the special requirements on the performance. They are high tensile strength required. So the widths and the lengths of the specifications are all the actual widths and lengths. 10* Series has the A Level. The width is 10.0 mm. 12* Series has the A Level only. The widths are 12.00 mm and 12.70 mm. 13* Series has the A Level. The width is 13.00 mm. In China, this kind of rule is very common. Chinese people will prefer use this kind rules. 3* Series have the width of 2.0 mm, 1.8 mm, 1.7 mm, 1.6 mm, 1.54 mm. 4* Series have the width of 3.0 mm, 2.9 mm, 2.8 mm, 2.7 mm and 2.43 mm. 5* Series have the width of 4.0 mm, 3.2 mm and 3.0 mm. 8* Series have the width of 6.0 mm, 5.1 mm, 4.8 mm and 4.45 mm. Among the 3* Series zip ties from the wholesale cable ties suppliers, they are 3* 60 mm, 3* 80 mm, 3* 120 mm, 3* 150 mm, 3* 160 mm, 3* 200 mm, 3* 250 mm and 3* 300 mm. In the 4* Series, there are 4* 100 mm, 4* 120 mm, 4* 140 mm, 4* 150 mm, 4* 180 mm, 4* 200 mm, 4* 220 mm, 4* 250 mm, 4* 280 mm, 4*300 mm, and 4* 370 mm. In the series of 5*, they are 5* 120 mm, 5* 180 mm, 5* 190 mm, 5* 200 mm, 5* 250 mm, 5* 280 mm, 5* 300 mm, 5* 350 mm, 5* 380 mm, 5* 400 mm, 5* 430 mm, 5* 450 mm, 5* 500 mm. Among the series of 8*, they are 8* 150 mm, 8* 180 mm, 8* 200 mm, 8* 250 mm, 8* 300 mm, 8* 350 mm, 8*370 mm, 8* 400 mm, 8* 450 mm, 8* 500 mm, 8* 750 mm and so on. In the 9* Series, there are 9* 450 mm, 9* 530 mm, 9* 550 mm, 9* 650 mm, 9* 700 mm, 9* 760 mm, 9* 920 mm, 9* 1020 mm, 9* 1150 mm, 9* 1210 mm, 9* 1350 mm, 9* 1540 mm. In the 12* Series, they are 12* 300 mm, 12* 400 mm, 12* 540 mm, 12* 650 mm, 12* 750 mm, and 12* 780 mm. Among the 13* Series, it is 13* 540 mm. Wholesale cable ties suppliers use the raw material, Nylon 66 to produce the nylon cable ties. Nylon 66 is the raw material of the nylon zip ties. This kind of material is not mysterious. It is well known by us. Actually, nylon also belong to the plastic. The relationship between the nylon and the plastic, is just like the relationship between the son and the mother. Nylon products are plastic products. In general, plastic is divided into two kinds of plastic. They are hot plastic and the cold plastic. Both of these plastic have their own advantages and shorts. What does nylon belong to? Is nylon the hot plastic or the cold plastic? Nylon is a kind of hot plastic. And nylon also have many types. There are PA 66, PA 6, PA 12, PA 1010 and so on. They are all the common types of nylon on the market. Someone may ask, what is the type material our wholesale cable ties supplier, HONT using? We are using PA 66. It has a good performance in the corrosion resisting and aging resistance. And it has a steady characteristics. The material has a long service life, compared with other materials. What is more, it owns very strong tensile strength. That is what the users the most want. And its flame resisting grade reaches to 94 V-2. The insulation function is also very nice. In the recent years, nylon is regarded as the target of the environment protection project. The researchers are aiming to find the most environmental nylon product for the wholesale cable ties suppliers. If the new product designs, it will expand the product application range. And more and more users and customers can get the benefits from it. Why will the the cable ties break in winter? Zip ties are so welcomed in the industry and our daily life. But we will still find some problems of this stuff made from the wholesale cable ties suppliers. For example, it will break in winter. Now we can have a discussion of why the nylon cable ties break in winter. Everyone knows that, when the winter comes, many thins in our house will be very fragile. Especially, the plastic products will get very brittle. It is because the plastic product is made by the big molecule. The big molecule is featured for its moving rule. It will move slow when the temperature gets down. And it will get very quick when the temperature is very high. When the winter comes, the temperature of the weather will get down. It is very cold. So the molecule of the plastic will move slow. If the plastic gets some force from the outside, the product made by the plastic will be out of shape. And the force from the outside is not easy to be delivered. It is also difficult to be used up by itself. These are all because of the slow moving of the big molecule in winter. So it is easy to have internal stress. These stress will get bigger and bigger. When the internal stress get to a very big grade, the molecule will be break. The break of the molecule will result in the wrinkles of the breaking. Then the wrinkles will lead to the transmitting of the internal stress. When the internal stress get transmitted, it will cause the break of the plastic of the product from the wholesale cable ties suppliers. Someone will be very worried about this problem. Don’t be worried. We can inject a bit of water in the bag of the nylon cable ties. It can make the ties keep wet. So the ties made by the wholesale cable ties suppliers will be difficult to break in winter. 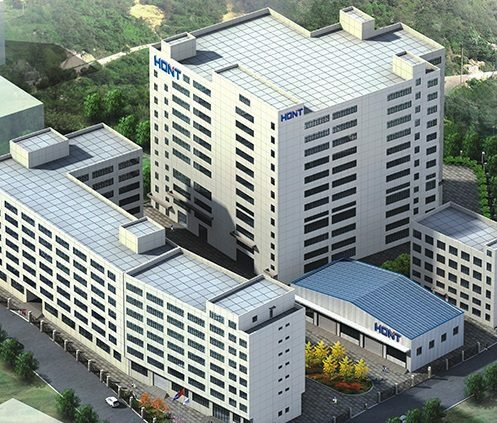 HONT is one of the biggest plastic cable tie companies in China. It is located in “Electric Capital of China”, Liushi, Yueqing. This location is nearby national tourist attraction, Yandang Mount. And it is 30 miles away from Wenzhou Airport. Besides the geographic advantage, HONT, the wholesale cable ties supplier owns production factory covering 45,000 square meters. Its employees are about 680. Its registration fund is over RMB 51,000,000.00. We are equipped with 88 big injection machines. These machines are all computerized. And we have 30 punches. Our manufacturing technique is at world level. And the testing equipment is complete. HONT skill power is rich and strong. Products of HONT have got the approval of ISO9001 Certification of Quality Management System. And the company has also SGS certificate, CE and UL. The products are far sold in United States, Middle Asia and Europe. We mainly produce nylon 66 cable ties, terminal blocks, shrinkable sleeves, cable clips,and series of wiring products. These are applied in electronic, mechanical, automobile, bicycle and various kinds of industries. These products are convenient to use. What is more, these prices of HONT wholesale cable ties supplier are reasonable. HONT has become the first choice of most clients and companies. And even popular in the supermarket of developed countries in Europe and America. HONT is marching forward to be an extraordinary brand. We are sincerely hoping to hand with you. We can expand bright international market together!